"Alex knows how to deliver the appropriate message to key decision makers to deliver results." 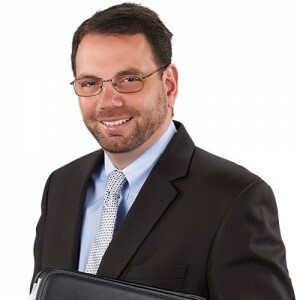 Alex Rahn has over twenty years experience in the association, corporate, government, non-profit, and political sectors. Currently, he provides government affairs advocacy for a diverse array of clients, including the transportation industry, technology firms, chambers of commerce, child abuse prevention, and child welfare advocates. Alex works extensively on appropriation, budget, human service, business, economic, and workforce development legislative issues. Prior to joining Wanner Associates, Alex owned his own state, municipal, and federal government relations firm. He also served as the Southeast Political Director for Senator Arlen Specter and spent more than six years working as both the District Director and Campaign Manager for Congressman Curt Weldon. Alex is also former Vice President of Government Affairs for the Rajant Corporation, Government Affairs Manager for Galaxy Scientific and Executive Director for the Delaware County Transportation Management Agency. A member of the PA Association of Government Relations, Alex serves on the Board of Directors for several organizations, including the American Red Cross, United Way, and CASA/Children’s Advocates of Delaware County. Alex is a former Councilman of Ridley Park Borough, former member of the PA Army National Guard, and holds a Bachelor of Arts in Political Science.